We are finally waking up to the fact that we aren't merely "the product" of companies like Facebook Inc. and Alphabet Inc.'s Google. As one Silicon Valley investor put it, we are their fuel. Are we talking about the same Apple? Because, in this regard, Apple is not very much a company “like Facebook” other than the fact that they have both been incorporated. You might just as well have made that title “Carvel Ice Cream, Amazon and Google Also Are Bracing for Privacy Regulations”. Oh, you don’t think Carvel’s been tracking all those Cookie Puss cakes you’ve been saying were for your birthday and you’ve been buying every other week? You think driving over to the Norwalk Carvel is going to matter? You’re living in a fool’s paradise, Brent. Carvel knows, man. Carvel knows. Mims’ main point is about European privacy regulations known as the General Data Protection Regulation (GDPR) that come into force on May 25. How badly will this affect Apple, the first company mentioned in this article about privacy? Well, you gotta wait until paragraph 18. GDPR is likely to strengthen Apple's position in the short term. That is indeed very bracing. "Apple will find GDPR to be very much consistent with its value system," Mr. McNamee said. Apple advocates differential privacy, an approach to data collection that is meant to prevent our data from being personally identifiable. It has already rolled out changes to iOS in anticipation of the regulations. Apple is a strong proponent of the privacy of its customers and already has privacy protections in place. Like bracing yourself for pudding. Apple CEO Tim Cook likes to say his company would never make the same kind of mistakes that Facebook has. But Mr. Cook's confidence belies the fact that Facebook -- now overwhelmingly accessed via mobile devices -- would scarcely exist without the iPhone and its Android-powered imitators. The internet would scarcely exist without wires so… you’re next, coaxial cable. OK, fine, operating systems manufacturers do have a duty to make sure disreputable companies don’t run rampant on their platforms, but Apple is the one company that’s made privacy a signature feature and is trying harder than all the rest. It’s the one company that has suffered the eye-rolling condescension of pundits who just months ago were declaring privacy “over” and Apple woefully behind the curve because it wasn’t nom-nom-noming up all its customers data. 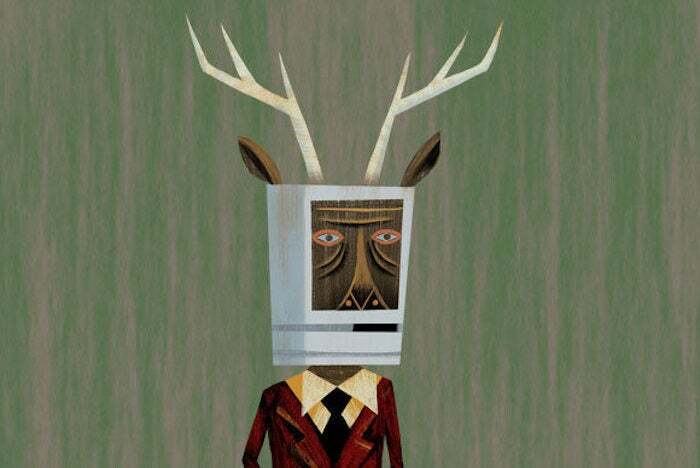 A privacy hole in Android let Facebook scrap call and text data for years but The Wall Street Journal wants Apple at the top of the headline and tut-tutted throughout because… well, the Macalope isn’t really sure why. It’s not just mad clicks since this is behind a paywall. Presumably just some kind of knee-jerk lack of belief in the forthrightness of anyone actually trying to protect their customer instead of grabbing everything they can grab. After all, that kind of thing probably rubs The Journal editorial board the wrong way.